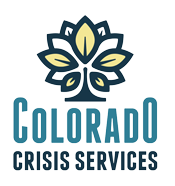 We are committed to ensuring that every person has the best experience possible at the Mental Health Center of Denver and our Quality Facilitator and Advocate is available for any questions or concerns you may have. Click here to download the Advocate Form. This form offers an explanation of services and resources provided by the Quality Facilitator & Advocate. Click here to download the Mediation Guidelines for Mental Health Center of Denver.